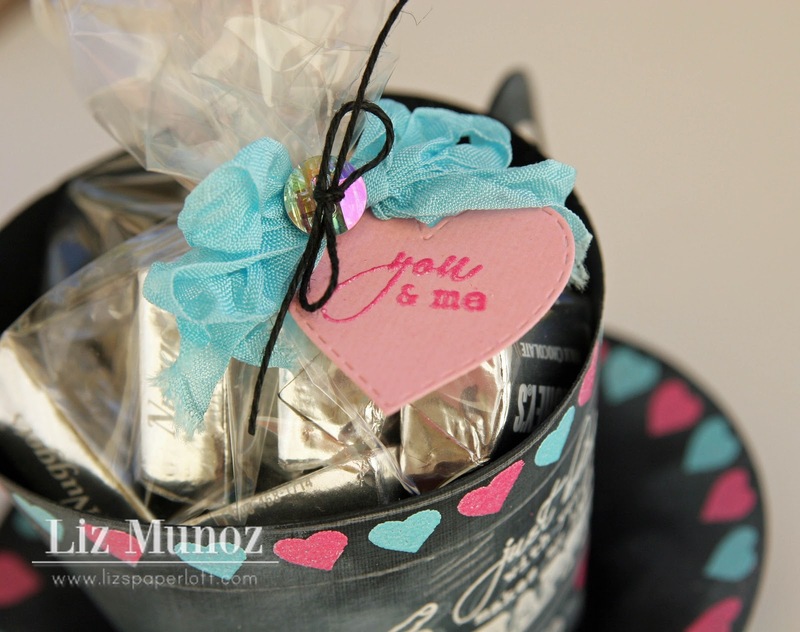 Liz's Paper Loft: Tea For You ~ 3D Wednesday! Tea For You ~ 3D Wednesday! Hi paper lovers, it's 3D Wednesday at My Creative Time today! Our projects today are to be some type of box or container. I know I've mentioned it before how I just love chalkboards, so I thought I would do a twist on that theme! That's right...a chalkboard tea cup! I think this the same concept would look great on a card or a layout! Love, Love, love! So very cute! Super cute. Love the colors. Cutest tea cup ever!!! 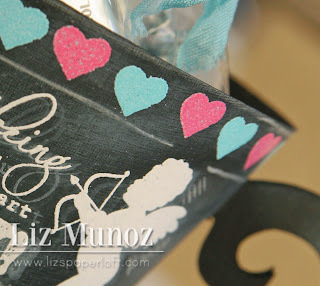 I'm in love with the teeny heart border you created, and the colors against the chalkboard are so pretty! Awesome idea, Liz!!! In love with this!! Great job! WOWZERS Liz!!! This is amazing!!! 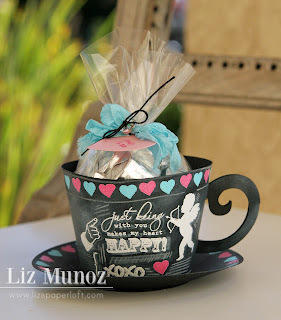 LOVE the chalkboard look on that tea cup! TFS and have a GREAT hump day! This is way cute! And no...no chocolate in a layout. This is way better...lol. Great job, I love it! So cool!!! Lovin' your darling chalkboard tea cup!!!!!!! Liz ~ OOOMMMGGG!!! This is simply AMAZING!! 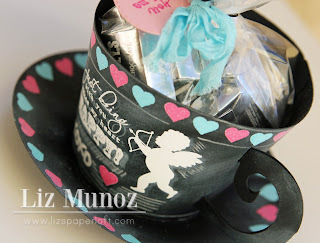 A tea cup made out of chalkboard ~ EEK!! GREAT idea, LOVE the color combination and just over the top CLEVER!! Mention away about loving it! maybe I will finally pull out my paper pack ~ just rocking the chalkboard look! Awesome creation and have a wonderful day! Sweet idea and it looks great. I have not found a way to put chocolate into a layout either :D but with ideas like this one we don't need to?? So cute Liz! The chalkboard look is fabulous! So unique and of course creative! Great job my friend! OMG your tea cup/in my case Keurig coffee cup (LOL) is awesome goodness gracious I love the chalkboard concept you did an amazing job here wholly cow I'm in awe of what you did Liz you are so stinkin' talented you blow my mind I love it. Thrifty Thursday ~ Congrats Card and more! Snow Much Fun ~ Layout! Happy Valentine's Day ~ Card! Designer Challenge ~ Hi Card! Christmas Joy ~ Scrapping The Little Things! You Make My Heart Sing ~ Card! Up Up Up & Away ~ Card! More CHA Time and a Sneak Peek! More Chalk Board Art ~ Card! Sweet Wishes ~ Birthday Card!